Tax Overages: Why Would An Owner Sell Cheap? Tax Overages: Why Would An Owner Still Sell Cheap? Tax overages were at the center of a great student question I received today. First, let's review tax overages briefly. Tax overages occur when a property goes to a tax sale auction, and the county receives more for the property than what was owed. This $13,000, and other excess amounts collected at the sale, are tax overages, or surplus funds, excess funds, or just "overages". The above example shows why I don't recommend tax foreclosure auctions as a great way to buy super-bargain property. Even though the price starts low, bidding will usually occur on properties that are worth more than the minimum bid. So, you'll often end up paying nearly what the property is worth at a tax foreclosure sale. Any time bidding occurs at a tax foreclosure sale, tax overages are created. Now that we're on the same page about tax overages, let's get to the student question. I believe that once a property does get sold at auction by the county, the excess funds after the taxes are paid is actually the former property owners. If this is the case, why would an owner sell for a few hundred dollars when there is a chance it could sell for a substantially greater price at an auction and they could get all the excess with no effort? What if they go to the clerk of the court and find that the property sold for many thousands more than the taxes due. If I were this person I would feel I had been misinformed and seek legal action. What is the correct way to handle this. I want to make this work, but I have a conscience and dont want to deny a fair and reasonable sum to the owner. Why would an owner still sell for little? 1. First, this scenario doesn't apply in about 30 states because there are no tax overages in their tax sale system. Tax overages are only created in about 20 states. 2. Most owners simply don't know they COULD be entitled to tax overages if they do nothing. Remember, no matter what, tax overages are never guaranteed. But the money we pay an owner for their property is cash-in-hand with no contingencies. In fact, on a lot of low-end properties that we flip to make $5k-10k, there is a very good chance tax overages won't occur at the sale. We may buy the property after seeing that it's in decent shape inside, but auction buyers do not get this luxury and therefore may only be willing to pay the minimum bid. You just never know. If you buy the property and purposely let it go to sale in hopes of getting the overage, in some states you would be eligible to collect as the last owner of record. However, this is an advanced technique that is not for beginners. 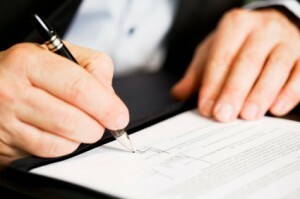 You could face legal action by the former owner, espeically if you don't use the right paperwork for the deal. In fact, Jack Bosch created an entire course on just this technique alone. Now, if you buy the property for next to nothing and resell it before the sale, obviously an overage is never created. With all this said, you should probably not buy a $100,000 property that has no title issues or liens, for $100 even if you get the chance (this opportunity will not happen often anyway). If there is a huge amount of money to be made, and no issues to overcome other than the taxes, you should probably partner up with the owner in some way (split the profits, or offer them $40k in this example, to be paid when the property is sold). This is not only the right thing to do, but will keep you out of trouble. What are the list of 20 State with TAX OVERAGE? Please send to me via email.Please send to me via email. Thank you so much. We find that over-the-counter properties are the ones that nobody purchased at recent sales, and therefore almost always worthless. If still interested in that, you'd have to contact the agency that holds the tax sale in your area and ask how they dispose of unsold properties. Not all areas have over-the-counter sales. Do you know where I can find that? can you tell me what are the 20 states where overages take place and how do I obtain a list of owners. How will I know what is really owned to the formal home owner. Is there a book with step by step procedures. Please respond to my email address. The Hooked on Overages course contains all this info - call 800-242-5410 for more info.